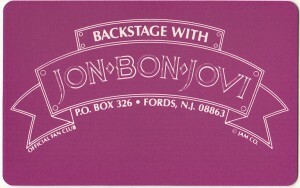 BACKSTAGE WITH JON BON JOVI ‘s membership memorabilia. 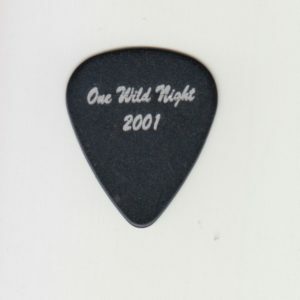 A black guitar pick with J.B. and One Wild Night 2001. 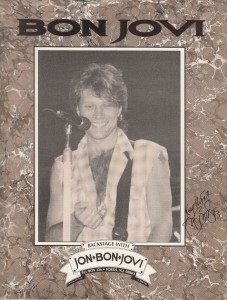 BACKSTAGE WITH JON BON JOVI ‘s membership memorabilia. 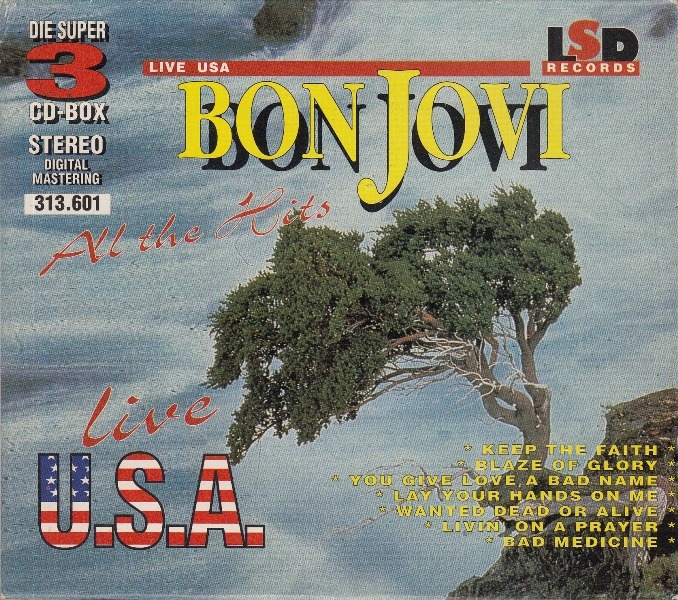 A red guitar pick with JON BON JOVI’s name. 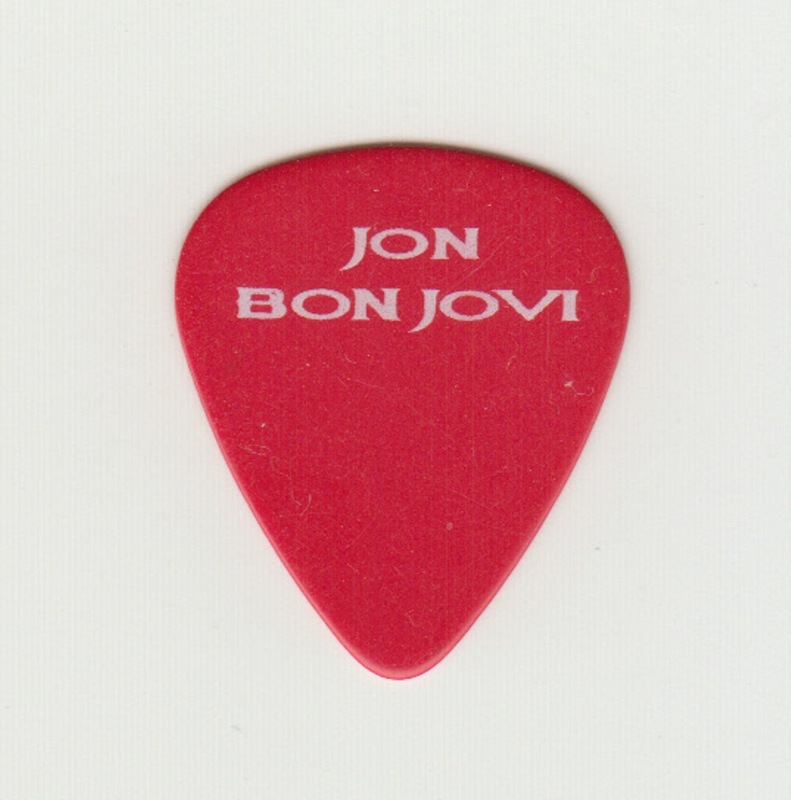 BACKSTAGE WITH JON BON JOVI ‘s membership memorabilia. 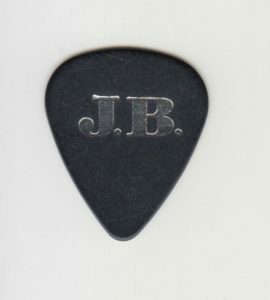 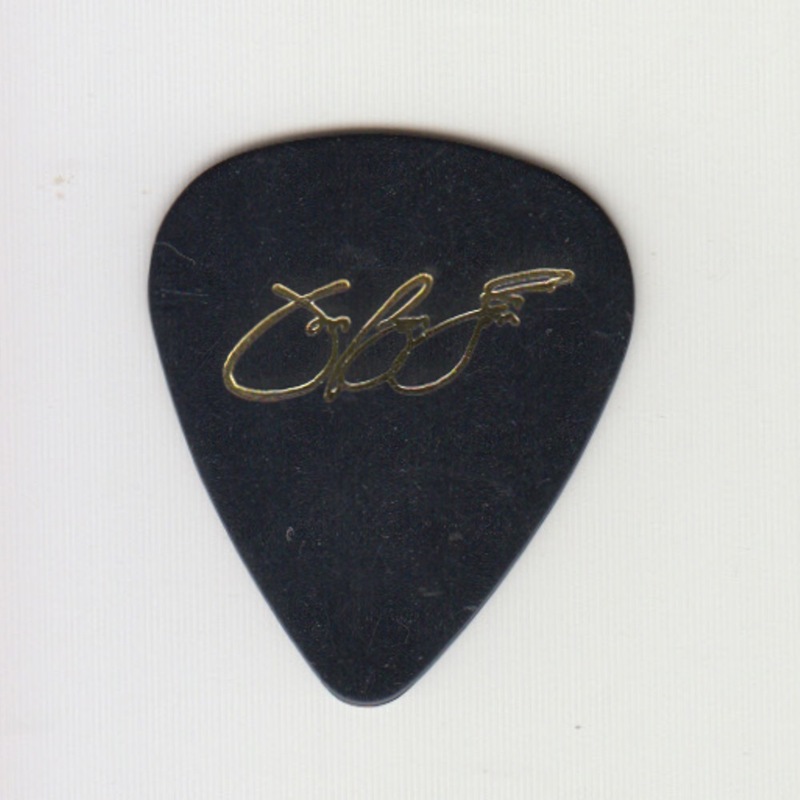 A black guitar pick with JON BON JOVI’s signnature. 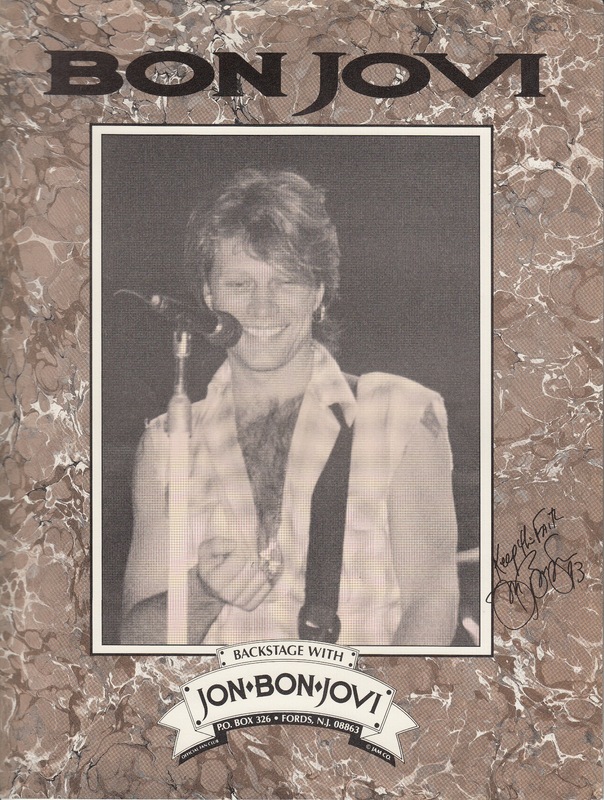 BACKSTAGE WITH JON BON JOVI ‘s membership memorabilia. 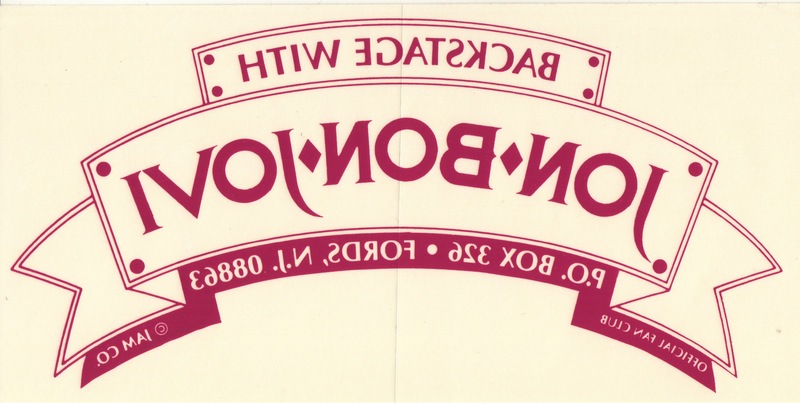 A sticker that becomes positive when stuck on glass. 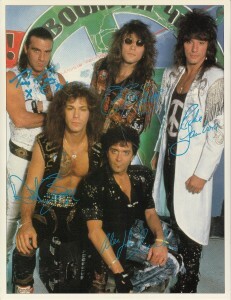 After KEEP THE FAITH released, around 1992 of membership memorabilia. 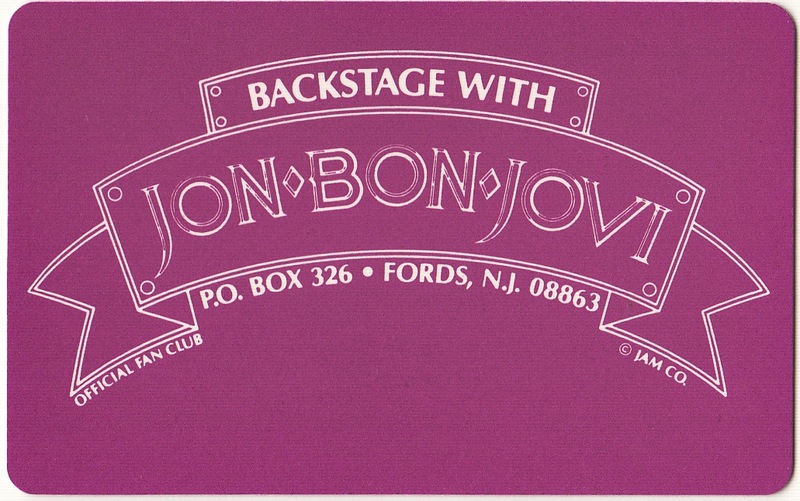 Fan club names from BACKSTAGE WITH BON JOVI to BACKSTAGE WITH JON BON JOVI. 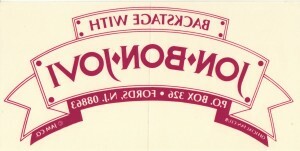 Shot glass that has been sold for the fan club members.